Winning gift cards is winning cash! Prizes that save me money are on the top of my prize bucket list. Especially Amazon.ca gift cards. Maple Money was celebrating their 10th anniversary and they held a giveaway open to residents of Canada and members of their group and Facebook page. If you aren't familiar with Maple Money it's a Canadian Finance Blog that teaches you how to save spend and even invest your money. There are so many tips on the website, set aside a few minutes to actually peak at the articles there is some amazing information for you for sure. 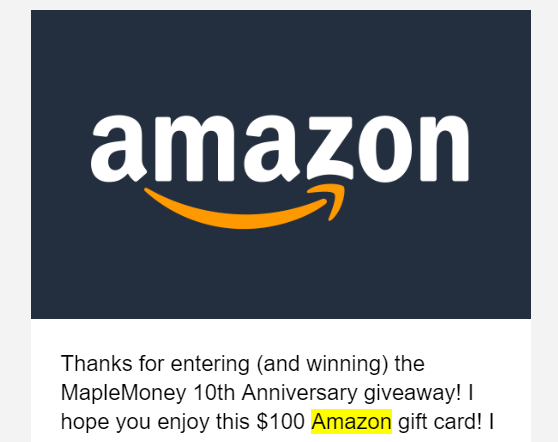 10 Lucky winners were picked to get a $100 Amazon.ca gift card and woot I was one of the lucky 10! That $100 can go very far when used with Amazon coupons and free Amazon gift cards earned online. I will make sure to do an update with with what I spent the $100 prize on. The Amazon gift cards were sent as e-gift cards, which really is the best way to get online gift cards. Saves mailing times and money. 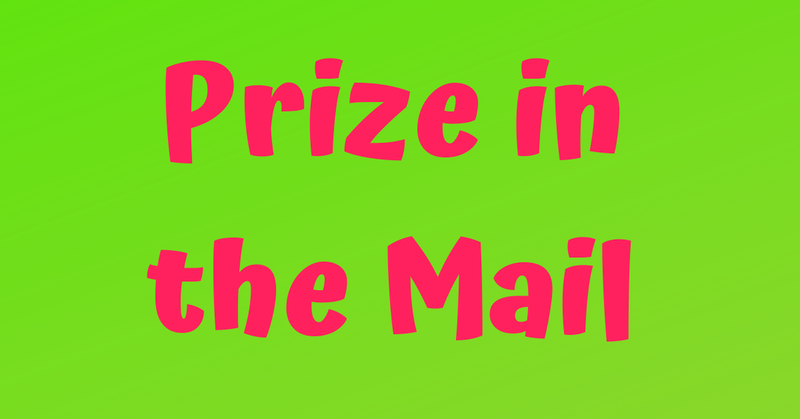 You want to win prizes but can't seem to get the hang of contesting? Check out "Why am I not winning?" See other contest winning tips, and remember persistence pays off, so keep entering contests open to your area and good luck!